Heeft u een vraag voor Longji Panorama House Hotel? Gelegen in Longsheng Graafschap, maakt Longji Panorama House Hotel de perfecte keuze voor reizigers die Guilin en omgeving willen bekijken. Slechts 77 km verwijderd van het stadscentrum, is dit een goede plek voor gasten om te genieten van de attracties en activiteiten in de stad. Dankzij de praktische ligging, biedt de accommodatie eenvoudig toegang tot alle belangrijke trekpleisters van de stad. 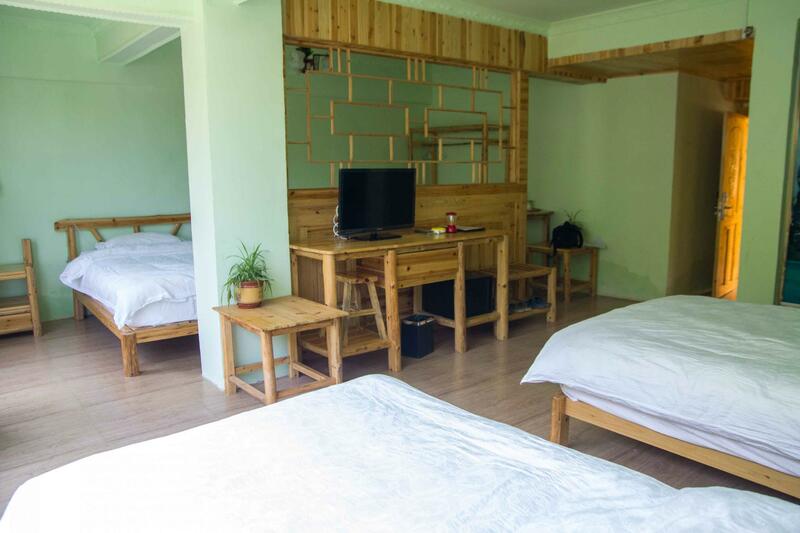 De faciliteiten en diensten die door Longji Panorama House Hotel worden geboden, garanderen een plezierig verblijf voor gasten. Gasten kunnen gebruikmaken van de voorzieningen terplaatse zoals gratis wi-fi in alle kamers, 24-uur receptie, wi-fi in openbare ruimtes, parkeerservice, roomservice. Het hotel biedt 59 prachtig ingerichte kamers voor gasten, velen zijn inclusief plasma tv, rookvrije kamers, airconditioning, bureau, telefoon. De accommodatie biedt talrijke recreatieve mogelijkheden, zodat u voldoende te doen heeft tijdens uw verblijf . 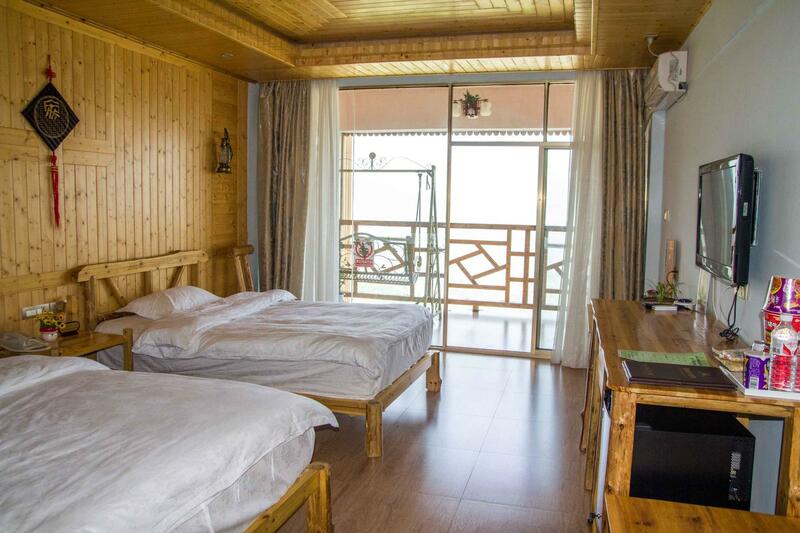 Longji Panorama House Hotel is een ideale verblijfsplaats voor reizigers die charme, comfort en gemak in Guilin zoeken. Great location to view out to the Longji Rice Terraces though it is a pretty good climb up since it is the highest hotel. Rooms are clean and staff are service oriented. Hotel rooms spacious but somehow did not feel so cozy. Staff was a bit inattentive, constantly eating their noodles when you're trying to order food or ask the front desk questions. Overall, the main point of staying at this hotel is the sunrise view. However, if you're unlucky with the weather, like we were, you just hiked 1.5 hours up the hill to spend a night in a mediocre cold dark hotel with not much else to offer. It was a long walk from Pingan Village to this hotel. Room was quite reasonable but no heating in the room. Food was average in the restaurant. Will recommend friends to come because of the nice view. We walked from Pingan Village to the hotel and I must say the trip was very tiring but worth it. We booked a standard double and the window was facing the backyard where I think was their cleaning area. Hotel is at the highest point and the view was good. There is no heating in our room that I did not know when I did the booking. We had our dinner in the restaurant and food was average. The stir fried wild mushroom was quite salty and their speciality bean curd was warm and not hot and I can say it did not taste nice. May be it was low season and not many people in the hotel and only two tables were booked. So the waitresses were sitting together talking. Room was quite big and clean. Have to walk 2hrs to the top of the mountain, no other transportation can be arranged. Hotel is clean and we book Family Suite where we have our own Balcony for sunrise viewing and star-gazing at night. The only disadvantage is have to wait up to 1.5hrs for food serving in hotel restaurant. Great view from the hotel. Very quiet and relaxing environment. Restaurant food is good but a little bit pricey. Need around 90 minutes to reach the hotel, quite tiring..
You're paying for the location here . It's high up about 90min walk from dazhai village. A great view of the rice terraces, sunrise and sunset. They don't speak English . The room we initially had was around a courtyard. There was no heating only air conditioners . It was 8c in the room. We ended up paying 50cny for a room with heating. The place was dated and cold throughout (February) but bed and shower were clean. Reasonable place for one night stay only . view is good , restaurant food is good and hotel is clean . The stay was pleasant. The room is new and spacious. The owner is so kind, friendly and helpful. The only drawback is it is not near YangShou and need to walk / drive around 5KM to there. Besides that, it is really a good hotel to stay. The hotel located at No 1 viewing point where you need to hike for 90mins. Give a call to hotel one hour earlier as they will send a guide to bring you up to hotel. Good thing for this hotel, you can wake up in the morning n watching sunrise from the room.. Perfect location! 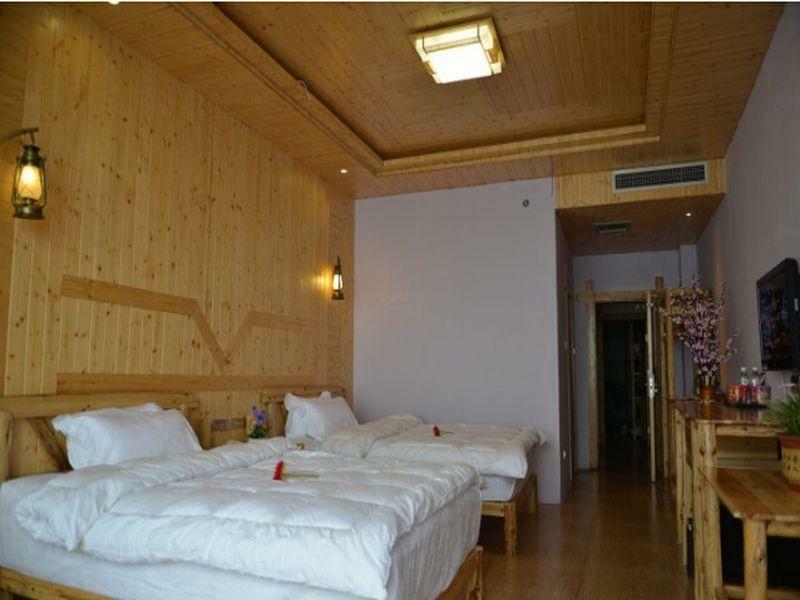 The hotel is one of the nicer ones in Longsheng. Big rooms and the view from the front of the hotel is great. But it is definitely not a four star hotel. I would give it 3. No electricity half of the time that we were there. (All the other hotels were also without). No room cleaning provided even though we stayed two nights. Make sure you bring enough cash because they don't take any kind of card and the nearest ATM is in Longsheng town. 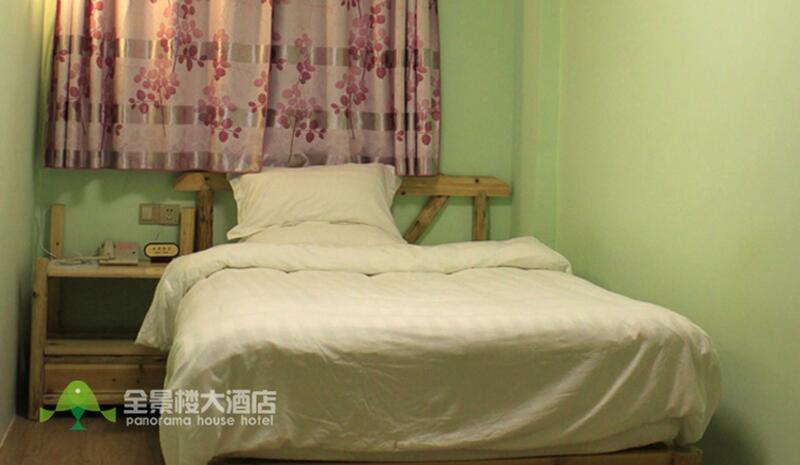 And be aware that to get up to this hotel you need to take the bus to Dazhai and then walk up hill mostly for about 1.5 to 2 hours to reach the hotel. Porters are available to carry your bags for not too much and even if you don't need that you will definitely need a guide to find the place the first time. And don't use the restaurant in the hotel. The food is average and expensive. Go 5 minutes down the mountain to the No.1 viewing spot and there is a restaurant there that does far better food. Excellent service by friendly staff; best view in the area, definitely worth the 2-hour mountain climbing! 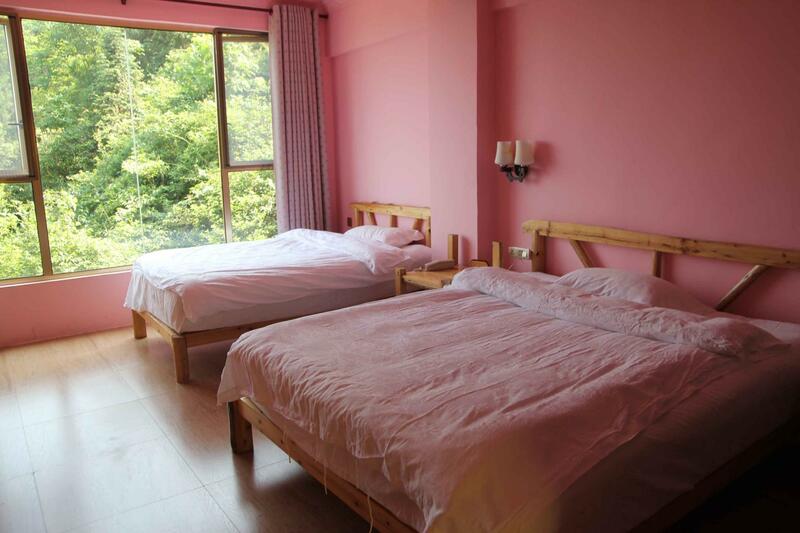 It's the highest hotel in longji. Perfect scenery are around. It's worth to stay. However, very weak Wi,Fi in room. hotel is located at the top with panorama view of the hills and the rice fields. it was entertaining just sitting there at the balcony watching. services are standard, foods are ok. only thing to note is it is very humid because of the location.Not the hotel's problem. just be sure to take enough T-shirts.